I guess this could be considered a train case. Maybe not, maybe just a small suitcase. Anyway, it's the one my grandma found and gave to me. It's not in the best shape, but I love the color. The inside needs to be recovered with some sort of paper, and I wish I knew how to fix the spots on the outside. Robin's egg blue is becoming one of my favorite colors. Isn't the color just lovely? But see, all of the corners have some wear like this, and I don't know how to fix that. You can't paint it or anything, probably. The closure works, it just needs polishing or something. The inside of the top has this gross glue looking stuff all over the paper, like it used to have a mirror or something there. I hope I can fix it. Some of the paper lining is messed up, like here. Last night, we had the Lighthouse at church. It's a teen hangout thing we have usually two Saturdays a month, and this was our one year anniversary of having it. I always have such a good time. It's fun just to hang out and play basketball, volleyball, ping-pong, and other stuff. And last night was even better than usual...You know why? Because we had smores! I'm 18 years old and I had never had a smore before (poor deprived child). But last night I had my first one (actually I had two), and it was lovely! =) I guess technically it wasn't a true smore because it was too hot for a fire, so we had to use this smore maker thing that has a small fire that you roast the marshmallows over. Anyway, I was very impressed. I mean, with Hershey's chocolate on it, it has to be amazing. So now I love smores. I like these flowers...hibiscus, I think? They're sort of shaped like little stars. Me and Mom are hopefully going to a few thrift stores in town on Tuesday, so maybe I can find some more vintage stuff. I know I'm really on a kick about "old things" lately, even more so than usual. 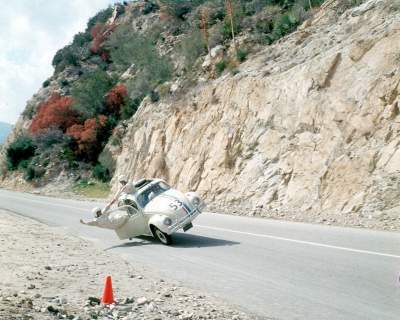 I'm not sure why...I watched "The Love Bug" last night, and it made me long for an old VW Beetle. I have a "new" one (a '99 model), but sometimes I wish I had got an older model instead. Don't get me wrong, though, I love my little car and I'm so grateful for it. But don't you just love that happy music that plays in the movie when Herbie is racing around a corner? It just makes me smile.